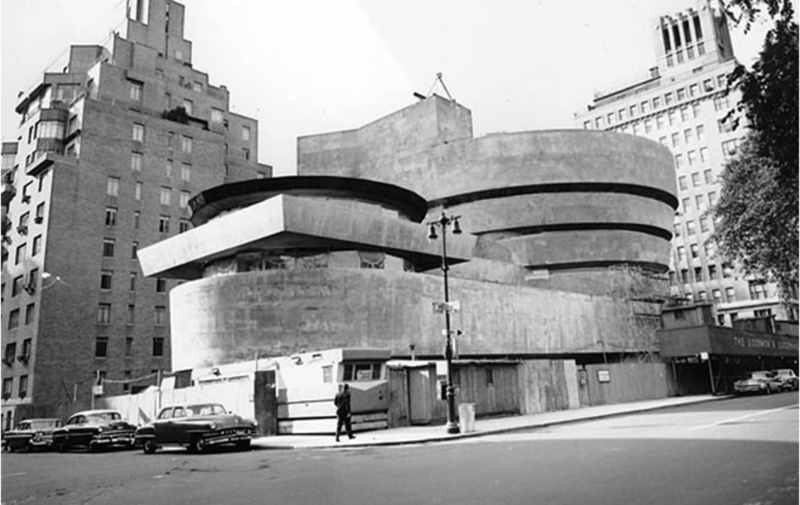 The Solomon R. Guggenheim Museum was the last major project designed and built by Frank Lloyd Wright between 1943 until it opened to the public in 1959, six months after his death, making it one of his longest works in creation along with one of his most popular projects. The architecture critic Paul Goldberger wrote that, before Wright's modernist building, "there were only two common models for museum design: Beaux-arts Palace ... and the International Style Pavilion." Goldberger thought the building a catalyst for change, making it "socially and culturally acceptable for an architect to design a highly expressive, intensely personal museum. In this sense almost every museum of our time is a child of the Guggenheim." ICR’s work included research on materials for the repair and re-coating of the Museum’s curved exterior walls of gunite, lightweight concrete apron slabs and more typical stone concrete. Testing program developed for performance assessment of various repair materials in relation to replicated gunite, lightweight concrete and stone concrete substrates. An investigation of color history was first undertaken (all coatings were then removed from the exterior), based on microscopic examination of specimens extracted from more than 100 locations. Stripping of the approximately 2 mm of coatings permitted a full examination of problematic exterior conditions, primarily cracks, losses and failed previous repairs. An understanding of the building’s ageing and of its seasonal behavior was further developed by the design team with a program of crack monitoring and the engineering investigation of core samples, along with probes to confirm the complex configuration of reinforcing steel. 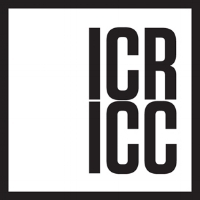 A complex research project was carried out by ICR on crack fillers, patching compounds and coatings for concrete. The comparative performance of these products was evaluated in the laboratory by accelerated weathering, applying them to small panels that were designed to replicate the original gunite and lightweight aggregate concrete. The replicated gunite panels were exposed to water spraying, thermal shock, freeze/thaw and UV radiation. For the coatings, water vapor transmission was determined; adhesion and color were measured before and after the accelerated weathering, using tape testing and reflectance spectrophotometry, respectively. The lightweight concrete samples were subjected to freeze/thaw, splitting tensile, direct pull-off and compressive strength testing. The best of the product systems were studied on a larger scale as mock ups at several locations on the building. These in situ mock ups allowed ICR to examine the constructability of the products and different repair designs for typical construction details. ICR developed the concrete conservation specifications and drawings, assisted with the selection of a qualified contractor and provided quality control services during implementation.